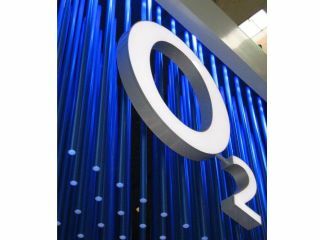 O2 has brought super-fast wireless networks to its home town of Slough as it begins the evolution towards a wireless future. We earlier brought you news that the carrier was planning to use LTE (Long Term Evolution) technology to facilitate the network, which offers speeds in excess of 100Mbps download speeds. It's the first deployment of this type on a wide scale in the UK - Motorola has already shown off the same thing in Swindon earlier this year, but O2 is now making LTE on our shores more of a reality. Telefonica, the parent company of O2, is planning this kind of roll out in a number of countries, including Spain, Brazil and Argentina as well as the UK. The deployment is in association with Huawei, the Chinese technology developer, to install the networks, and aims to show the townspeople of Slough how LTE will improve data rates and reduce the amount of dropped calls. "All the mobile operators are struggling to cope with the huge demand for data services," said Tim Watkins, Huawei's VP for western Europe. "LTE will be able to handle up to 20 times as much data and allow more bandwidth-hungry applications." If successful, LTE could be rolled out over the next year or so - it's now up to device manufacturers to bring out compatible technology.